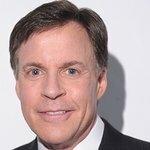 Famed sportscaster Bob Costas is a supporter of the Wounded Warrior Project, and has repeatedly hosted their annual fundraising events. Costas is an honorary board member of the Multiple Myeloma Research Foundation. Google trends for "Bob Costas"